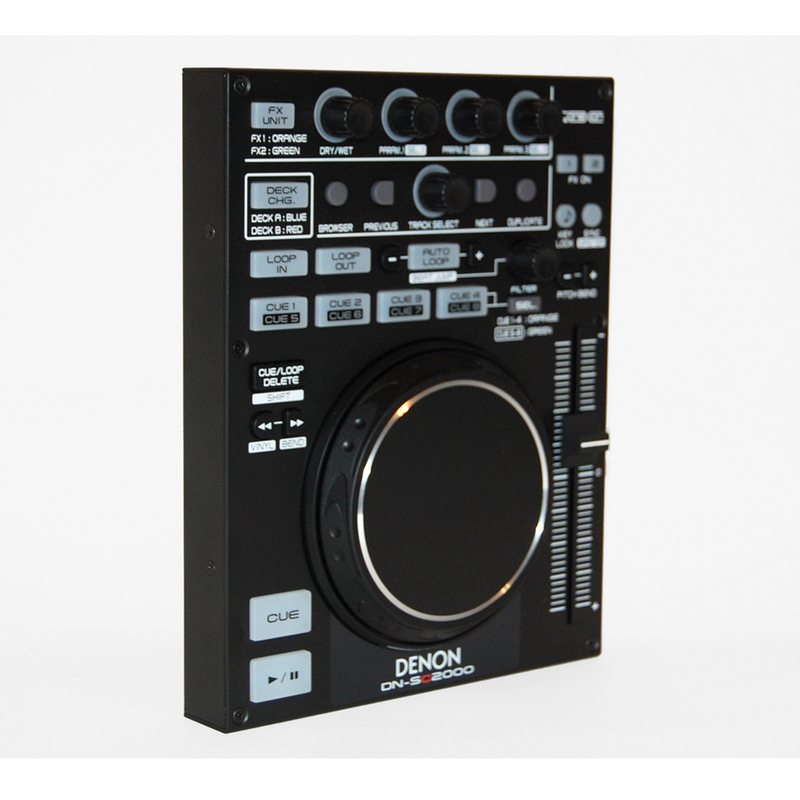 The DN-SC2000 Controller unit is an affordable, compact, professional-grade, solid steel MIDI controller designed for the home DJ or party laptop DJ on the go. Used together with the DJ’s favourite mixer and PC software of choice, the DN-SC2000 offers party and bedroom DJs a compact, portable, user-friendly control solution. A two-layer system, the unit can control two decks at once (with visible deck color change), or be paired with another DN-SC2000 unit to control four decks. The DN-SC2000 is optimized for TRAKTOR® Pro users and natively supported by Virtual DJ. 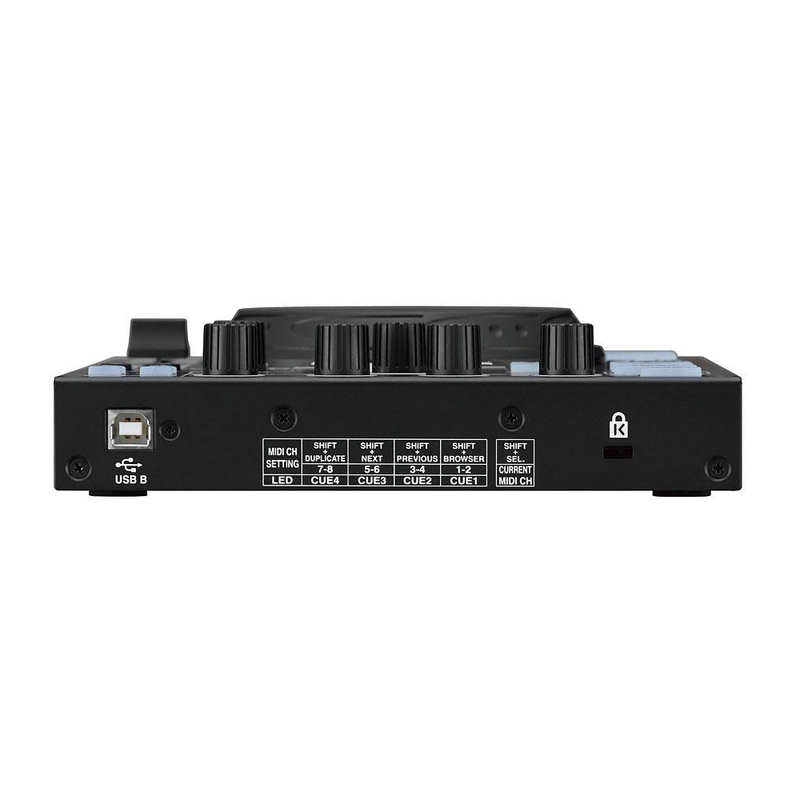 The unit connects with the user’s PC or Mac® via a USB 2.0 interface. 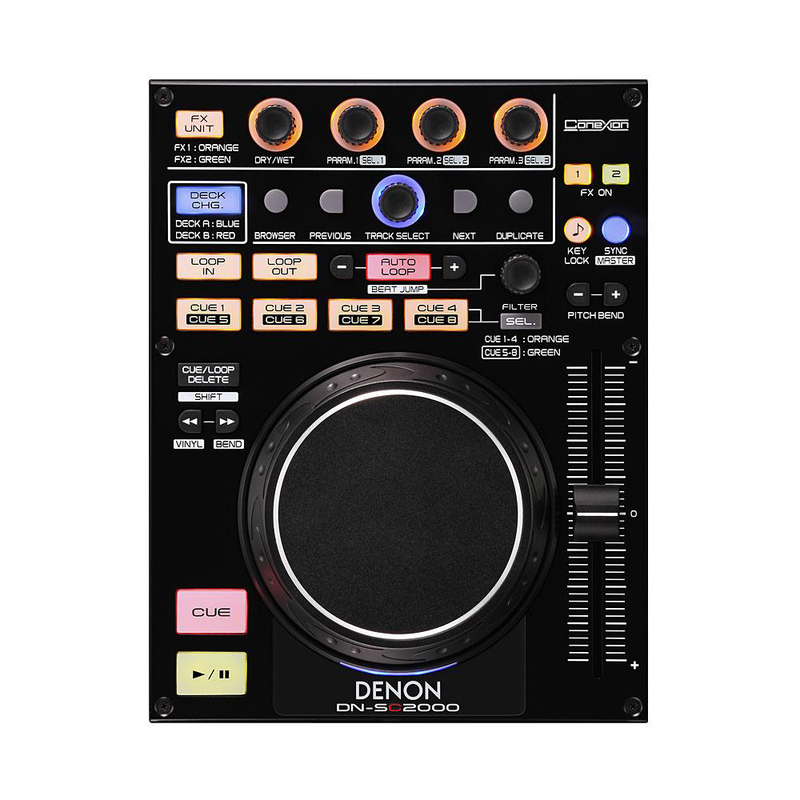 The DN-SC2000 includes many advanced functions, including MIDI-mapable capability, auto loop function, a wide range of effects, rugged pitch slider, pitch lock, automatic beat sync, durable rubber button controls and much more.